Authentic … vital … warm … open-minded … I thought I was reading my Bumble profile instead of a church growth resource. These are some of the adjectives the article used to describe the kind of church millennials are seeking. It went on: they’re suspicious of institutional culture and hesitate to make a formal commitment. They’re put off by slick campaigns or pressure tactics. They are looking for honest relationships and something meaningful to contribute [from an article from the Vital Congregations Initiative, Presbyterian Church USA] Hey, who would take issue with that? That’s the kind of church I want to be part of, too. The quality of this faith community is always on my mind, and I appreciate hearing your experiences, ideas, and suggestions. A member recently inquired, “Tell me about your plan for getting our next 100 members.” He went on to say that growth doesn’t just happen. It has to be cultivated. I come from a family of avid fishermen and Jesus’ metaphor doesn’t quite work for me when it comes to “catching people.” Part of the sport is outsmarting the trout. Which fly will tempt the rainbow to leap from the watery depths of the Arkansas River to swallow it, hook and all? There’s an element of trickery and deception, and when you’re successful, the reward is a delectable dinner. When we seek new members, we’re not trying to get them to swallow a line, even a theological one. We’re not trying to reel them in, or play a game of “bait and switch.” Our desire to “catch” people isn’t for the dinner they’ll provide — or any other “benefit” (you know what I’m talking about). But I am intrigued by this story, and think that it offers some important clues about catching our next 100 members. First off, notice that the focus is not on fishing, but on Jesus and the way he engaged the fishermen he wanted as disciples. He met them in their territory, and didn’t wait until they came to synagogue worship to get acquainted. 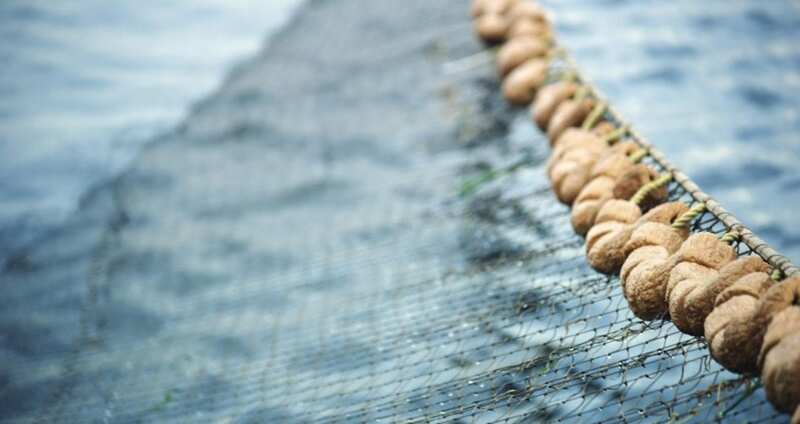 He put their tools to use (a boat as a pulpit) and talked their language (a net full of fish), maybe to impress them, maybe to strengthen his own cred and, possibly even to demonstrate the Realm he proclaimed was a place of abundance and human flourishing. Notice too that Jesus’ call is toward a good thing, not a warning against evil or inadequacy. In fact, when Peter gets all guilty acting, Jesus cuts him off. Don’t be afraid. How often would the disciples have to be reminded! Christian faith is not a threat or a weapon; it’s a purpose and a presence centered in Jesus. Maybe, to avoid coercive or manipulative tactics in the proclamation of the good news, we have simply gone silent. Let’s journey now to the lakeshore of the present: the downtown Denver neighborhood. I can’t even keep up with the number of new housing units being built within a 2-mile radius of Central. In 2016 it was 3000, and even with absurdly high housing costs, those units are mostly full; ones still under construction already have waiting lists. Demographic research reports that the people moving downtown are largely millennials and retirees. We know that people of affluence co-exist here with people in need; the gleaming, secure apartments and condo units shading the people clustered around the Samaritan House and St. Francis Center. Our mission partner Rainbow Alley serves LGBTQ youth who have fled rejection and bullying, only to wind up on the streets, seeking shelter and understanding. Refugees and immigrants wind up in public housing, or in the motels lining Colfax Avenue. 27%–more than a quarter– of Denver households are one-person. The grocery store where I shop features an entire section of “Meals for One” – and sales are brisk. We know a Way that takes us beyond our own little lives to the very heartbeat of the universe. We have experienced Life of rich purpose and radiant joy. It’s time to reclaim our voices to share that good news. Jesus called these fishermen to become his disciples. That word “disciple” is rightly maligned when it translates to mind-control, someone who gives up freedom for dependence upon a powerful figure. By contrast, Jesus invites people to choose to be his disciples, to follow where he leads, to do what he did, to learn what he taught. Maybe the thing that unites us as “church” has less to do with a certificate of membership and more to do with a shared commitment to be disciples of Jesus. Might we reclaim that identity (and that name) as we seek to build a church of porous walls? “Catching fish” was a metaphor that spoke to fishermen of Jesus’ day. What would our metaphor be? People gathered around a table? In contrast to a Meal-For-One, a giant potluck, or the Table of Communion? Would it be work gloves and hammers? How about music and song that galvanizes, inspires, and rekindles hope? Friends, we have good news. We know Someone who loves us–and every single person– to the very core of our being. We know a Way that takes us beyond our own little lives to the very heartbeat of the universe. We have experienced Life of rich purpose and radiant joy. It’s time to reclaim our voices to share that good news. To follow the example of Jesus and invite others to join us on the way. In worship, for example. Or a New Genesis barbecue; a mission trip; a Habitat build; a class or Bible study; a Life Group like Theology on Tap or Wine and Wisdom. To follow the example of Jesus by using words of invitation, friendship, connection. To follow the example of Jesus by going where those others are, be it next door, at work, at the gym, attending a concert, in ordinary, everyday situations. So who are our next 100 members … or should we say, our next co-disciples?